Charles George Nagle, age 86, of Gurnee Illinois, passed away at 1:50 p.m. Tuesday, January 15, 2019. He was surrounded by his loving family. Charles, affectionately known as “Bud”, was born in Chicago, Illinois on July 20, 1932. He married Rita Mae Fleming on May 28, 1953, at the Catholic Chapel on Mather Air Force Base in Sacramento, California. Bud and his beautiful wife Rita were married for 65 blissful years. Bud is survived by his wife Rita and their six children, Charles J. Nagle, Nora (Bruce) Sanchez, Margaret (Todd) Stein, John Nagle, Maureen (Lonnie) Urban, and Colleen (Scott) Tryner. He is also survived by his fourteen adoring grandchildren; Darrin and Samantha Nagle, William and Kathryn Kesten, Elizabeth and Rebecca Sanchez, Trevor Stein, Zackary, Joshua, and Olivia Nagle, Devin Urban, and Tyler, Kayla and Dylan Abel and one great grandchild Peter Paul Espinosa. Bud is preceded in death by three brothers that he treasured dearly, William “Bill”, Gene, and Patrick Elmer “Al”, and by their beloved parents William and Ethel Nagle. Bud was born and raised in Chicago, Illinois, primarily in the Lincoln Park neighborhood. At the age of eighteen, he joined the United States Air Force. He served as an aircraft and engine mechanic from January 26, 1950, to February 5, 1954, spanning the duration of the Korean War. A longtime resident of Gurnee, Illinois, Bud and his wife Rita moved there after his time in the military. He loved camping, fishing, and exploring state and national parks. 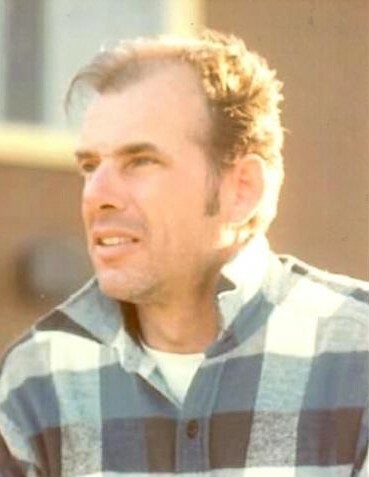 He had a passion for carpentry, landscaping, and home improvement, and a large family with whom he shared his talents. He was an attentive and diligent worker who aimed for perfection in every endeavor. His knowledge of world history was astounding, and his appetite for the latest news was insatiable. He was kind and considerate to all who crossed his path, more likely to befriend a stranger than merely make their acquaintance. More than anything, Bud loved his family, whom he cared for with unparalleled devotion. The visitation is from 4:00 p.m. until 8:00 p.m. on Tuesday, January 22, 2019 and again from 10:00 a.m. until time of service on Wednesday, January 23, 2019 at Warren Funeral Home, Cemetery and Mausoleum; 1475 North Cemetery Road in Gurnee Illinois. Mass will be held at 11:00 a.m. on Wednesday, January 23, 2019 at the funeral home. Father James Merold will officiate. Burial will be at Warren Cemetery.